Adult education concepts & issues. This clinic is not sufficient for you to pass the I4WDTA Certification and is not a guarantee of passing. You need years of prior experience and a wide range of knowledge to draw on for the certification process. It does give you a tune up of your skills, validate your knowledge, and help you assess your current readiness - Perhaps pointing out areas requiring more study and experience. 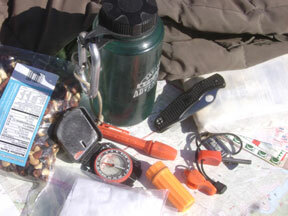 It provides you with a multitude of ideas and tips. 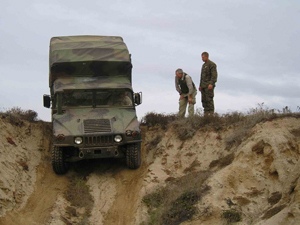 The clinic is taught by one or more certified instructors who have many, many years of experience teaching 4-wheel drive to recreationalists, the military and industry. Students with virtually every type of 4WD and SUV currently on the market in the United States have attended their clinics. This includes the military H1 & MAT-V, full size pickup trucks and vans, SUVs, 4WDs and even a few All-Time 4WD vehicles such as the Subaru. You need to bring to the clinic your course outline for the 4-wheel drive clinic you teach or propose to teach. 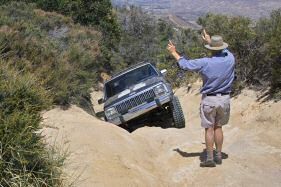 You should bring all the props, forms, and other materials you use to teach a basic 4-wheel drive clinic. Also bring a well prepped 4-wheel drive vehicle with your recovery gear, navigation equipment, and mechanics tools normally carried. The vehicle should have necessary safety equipment such as first aid and fire extinguisher. Click on the link "Joint I4WDTA". The class is limited to 8 individuals.